One of the greatest facts is that, Dubai is ruled by the Al Maktoum Dynasty since 1833. Dubai is one of the seven emirates which make up the United Arab Emirates (UAE). It has become known as the country that is called “a wonder of the world”; as it is a city of skyscrapers, beautiful homes with swimming pools, the largest malls, the best 5 star hotels and golf courses which arise out of the middle of the desert. You can earn dollars that is tax free with many perks and benefits. This is the place for you and your loved ones. Live YOUR dream! Make the future that you want happen for YOU today! The climate is desert like with a very high seasonal temperature variation. In the summer months (March to October) it is very hot and humid, with temperatures around 40 degrees Celsius (105 degrees Fahrenheit) during the day. Rainfall is seldom and does not last very long, it occurs more so in the winter months. Winter months are more tolerable and have a daytime temperature of approximately 25 degrees Celsius. The population of Dubai is now over 2, 003,170 in the year 2012. The growth of the population is incredible. In the day time, the population is higher at 3, 023, 426, and this is because of the large investment opportunities available and people who reside in other emirates come over to do business. 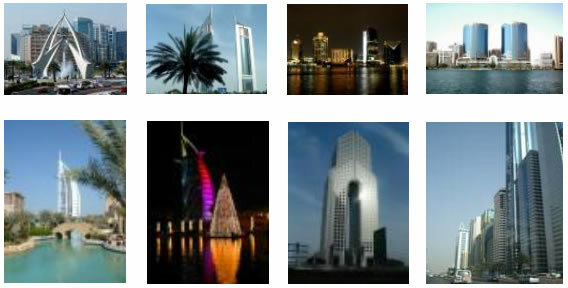 The statistics has indicated that Dubai’s population has grown by 5.1% in 2011. This growth rate has tripled the world’s average growth rate. The City of Dubai is located at sea-level. Driving in Dubai means drive at your own risk. Rules and regulations are unlikely to be followed. Drivers do not stop for pedestrians and cyclists. If you stop, you are at risk for getting your vehicle rear ended and running into the pedestrian. Parking; you may park however you feel comfortable, in two spots or on the pavement. There are many forms of transportation, by taxi, bus, ferry, air, car, local buses, metro, terhaal (a travel pass especially for tourists), metro monorail, abras (local boat). Driving is on the right side. Renting a vehicle; you must present a valid international driver's license and a passport to rent a car. Temporary local driving licenses can be obtained as long as the driver can present a valid national license, passport and two photographs/photo IDs. UAE is made up of 7 emirates, each with a Ruler. The constitution of UAE has a president and a vice president who are elected by the seven Rulers (they make up the Federal Supreme Council, which also has a chairman and vice chairman, serving a five year term). Khalifa bin Zayed Al Nahyan, is the current president. 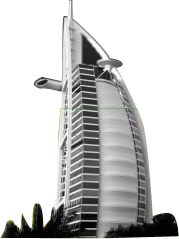 The official language of Dubai is Arabic; however, English is mostly spoken. They also have some other regional languages. Islam is the official religion in Dubai. Having said this, Dubai is a cosmopolitan city and has several other religions such as Christians, Hindus and Sikhs living together in complete peace and happiness. Foreign exchange is now completed at Al Ansari Exchanges throughout UAE. You can now buy and sell foreign currency at any branch at very competitive rates along with exceptional service. If you are coming to UAE to work, you will require a visa. All travelers, except for AGCC nationals (Bahrain, Kuwait, Qatar, Oman, and Saudi Arabia) are required to have a locally sponsored visa. Sponsors include hotels, or local companies and employers. A visitor may apply for an entry service permit (14 days), a visitor visa (60 days renewable), or a tourist visa (30 days non renewable). All current regulations should be checked before traveling as they change regularly. Most health risks in Dubai are related to the heat. After all you are in a desert and It is important to keep yourself well hydrated and protected from harmful UV rays. Carry a bottle of water with you, and make sure you have proper sunscreen on whenever you go out into the hot Arabian sun. We recommend you wear a hat or head covering to keep cool, and that you invest in a quality pair of sunglasses, as the sun can reflect on the sand and can harm your eyes. The tap water is perfectly safe to drink, but most visitors prefer mineral water that is locally bottled and served in most restaurants and hotels. Dubai is well-equipped medically, and is home to the finest medical facilities in the Middle East. However, if you have any health concerns; make sure to contact your doctor before traveling. Your employer in most cases provides you with Private Health Insurance that will cover you for 100% of your personal health needs. Crime is fairly low in Dubai. Incidents of pickpocketing and petty crime are also low. However, when travelling to any country, there are always precautions you ought to take, such as keeping your passport and visas in a safe place. You should lock personal items in a safety deposit box. In Dubai, you would not need these papers when traveling around because tourism is such an important part of the economy and the locals want to make sure you are at home. Try to be as respectful as you can by following the basic rules of thumb. Never leave anything valuable unattended, especially credit cards or other money as this can create unnecessary hassle. Accept the hospitality of the local people, but try not to be lead far away from the hustle and bustle of the city. Always use your common sense and you should be fine.